Material used in this page is taken from the mystical lecture "Journey Towards the Friend" (part IV, written by Gudri Shah Baba V) and from official Gudri Shahi Order website sufiajmer.org with the permission of the author. The Shijrah (Spiritual Genealogy) of the Gudri Shahi Order, was dictated to Qazi Gudri Shah Baba II by his spiritual Guide also known as Hazrat Saeen Ji Gudri Shah Baba I and given, handwritten, to his mureeds. As the Silsila (Order) grew, a beautiful and comprehensive Qadiriya, Chishtia and Gudri Shahi Shijrah was produced and printed by Nawab Gudri Shah Baba III. The text also provides the recitations for Paanchvi Sharief - The monthly rituals of Hazrat Khwaja Usman Harooni. You may have heard it said that ''God can be found by searching for him''. After hearing a little of the life and search of Hazrat Syed Malik Mohammed Alam, known as Gudri Shah Baba I, you will be reassured that for a human being nothing is impossible. In his search for God, Sufi Saint Hazrat Syed Malik Mohammed Alam (who was born in 1207 AH. 1788 AD. in Shahpura, Punjab; now Pakistan) spent sixty years of his life, bare footed, in the jungles of India, Afghanistan, Iran, Iraq and Arabia. During this pilgrimage of sixty years, he performed Haj seven times and visited a multitude of holy places and shrines. Eventually the blessings of the Friend descended upon him in the words "come here". It was at the suggestion of his Murshid, Hazrat Pir Mustufa of Baghdad that he go to Ajmer. "Your spiritual share is in Ajmer at the shrine of Hazrat Khwaja Moin Uddin Hasan Chishti"
Saeenji came to Ajmer and spent the remaining sixty years of his life, wearing a long jute coat and a Gudri (Patched shawl) across his shoulder. He became known as Gudri Shah, the King of Patches. This is how the Gudri Shahi Sufi Order came into existence. The universality of the teachings of Gudri Shah Baba I, noble character, humility and social understanding were such that they affected everyone who came into contact with him. Men and women from all walks of life joined his holy assembly and benefited from his spiritual blessings. His concern for his mureeds can be understood from the following story. He was in the last few days of his long life and was surrounded by his mureeds, who were mainly employed in different walks of life. He enquired, "what day is it today?" They replied ''Sir, it is Friday.'' He was so obviously thinking of the convenience of his mureeds, for whom Sunday was not a working day, when he said, in symbolic language, ''Not Friday. Let it be Sunday''. So, on Sunday, the 10th of Ramzan, in the year 1327 AH / 1907 AD, at the age of one hundred and twenty years, he died, proving that even death cannot take away the lovers of God without their permission. Control your Nafs (The Self) and see the manifestation of God. He always consoled people and was always sensitive to their feelings and needs. At times, people offered him things. He would accept and after a period of time, when he saw a person in need, he would bestow that same gift on them. He chose to be buried near the Chillah of Hazrat Khwaja Moin Uddin Hasan Chishti, overlooking Anasagar Lake, Ajmer. He had chosen this spot in his life time and now a beautiful white marble shrine marks the place of his eternal rest and his eternal relationship with Khwaja Sahib, in an area included within the premises of the Chillah Sharief of Khwaja Sahib. His shrine is a place of pilgrimage and each year on the 9th. & 10th. Ramzan (Islamic month) his Urs or death anniversary is celebrated according to the Chishti Tradition. On the same hill, a little to the south of the Chillah of Khwaja Sahib, stands the holy, white shrine of Hazrat Abdur Rahim Shah, known as Qazi Gudri Shah Baba II. The shrine is a square building, standing in the centre of a strong, fort wall - Ahata Hazrat Abdur Rahim Shah. 1274 Hijra, the birth of the saint, is mentioned in the 'Tazakara Hazrat Abdur Rahim Shah, Gudri Shah Baba'. In the search of the Murshid or the spiritual guide who could bring him close to God, he left his native place Kashipur in U.P. and came to Ajmer. After some years, he saw a dream in which Hazrat Khwaja Moin Uddin Hasan Chishti was in the company of Gudri Shah Baba I. Hazrat Khwaja Moin Uddin Chishti was pointing towards Gudri Shah Baba I and instructing Qazi Gudri Shah Baba to "Become his Mureed ". It still took him several years after this dream, to find Gudri Shah Baba I.
Fortunately, one evening he found him standing amidst the poor, distributing langar (bread and lentils). He immediately sprang forward and placed his hand on Gudri Shah Baba's feet, out of respect. Afterwards, he joined his circle. After becoming Gudri Shah Baba's mureed, he accompanied him, travelling by foot, across Afghanistan, Iran and Iraq to Damascus, Egypt and Africa. The grace of his murshid's company brought a change in him enlightening him from head to feet. After the passing away of his murshid, the people began to call him, too, by the name Gudri Shah. His simplicity and easy manners encouraged many thousands to enter his order. External work should be done correctly by external means. Internal work should be done internally. A secret talk is best done in secrecy. He is not a faqir who lacks ability and patience. Whoever has not seen the Truth here, will not see it there either. When the end of life drew nearer for Hazrat Qazi Gudri Shah Baba (II), he asked his most devoted mureed, Hazrat Nawab Khadim Hasan (Gudri Shah Baba III) to accompany him to the Chillah Sharief. He asked him to bring four bricks, and without speaking, placed the four bricks in the corners of what was to become his burial place. After some time, when he died, on the 5th.Shawaal, 1344 AH, he was buried at the exact spot. His shrine is the focus of faith for the thousands of devotees, who celebrate his Urs each year. Hazrat Nawab Khadim Hasan Shah Gudri Shah Baba or Gudri Shah Baba III was born in Moradabad in the area known as Nawabpura. His grand father, Fida Ali Sahib who died on 12th June 1864, had developed the area. He was a very big landlord and owned thirty-seven villages. The date of Gudri Shah Baba III's birth is given as 15th. December 1894 / 4th Jamadi us Sani, 1312 AH. Hazrat Fazrul Rehman (1208-1313 AH) of Ganj-Moradabad (different from the Moradabad which is famous for the brass works), the towering saint of the Naqshbandi Sufi Order gave him the name ''Khadim'', which means servant or caretaker, forecasting that many people would benefit from him. He also received blessings from the Sohrewardi Sufi Order as he was a direct descendant of Hazrat Makhdoom Sama Uddin Sohrewardi of Mehrauli, New Delhi (808 - 901 AH). ''Shaikh Sama Uddin was complete in fear of God, in guarding himself from sin, in outer and inner knowledge. He possessed perfectly the power of attraction in the assembly. Moreover, the heart of any sick person he used to look at, graciously become cleaned from any spiritual disease and the purposes of any seeker he looked at, fulfilled." When Gudri Shah Baba III came in contact with Gudri Shah Baba II, he became a changed man. The holy company transformed him, moulding him into the identity of his spiritual guide. Hazrat Gudri Shah Baba III was renowned for his remarkable aristocratic personality. He was pious, polite, modest, formal when necessary but always courteous. He was always elegant and eloquent, showing kindness and hospitality to guests, compassion and mercy to the needy. ''My son, never expect any thing from anyone except God. Human beings are fickle, like mosquitoes or ants. Respect all religions." "Every soul shall have a taste of death''. Thus, after making Sharib Gudri Shah Baba IV his substitute, in the Sufi language - Sajjadanashin, he passed away in Agra at 6 pm on the 28 th Ramzan, 1389 AH / 29th November, 1970. His Urs is celebrated on the 28th and 29th Ramzan, each year in the traditional manner. The Journey of Ishq (love) can only be completed by love not by any abstinence, labour or worship. Ishq (love) is a cure for all physical and spiritual desires of the heart but is itself independent. Ishq (love) holds all creatures in thrall but nothing exceeds Ishq. "I am not concerned in the least with what you are, what you have, what you believe, how you live; how you act, how much faith you may have, how much belief you may have, or how much hope you may have; but I am concerned with what you would like to become." These are the words of Hazrat Dr. Zahurul Hassan Sharib, Gudri Shah Baba IV. He lived his entire life for others. And for the love of The Almighty. These are the words that describe his love for the love of the Almighty. Hazrat Dr. Zahurul Hassan Sharib (affectionately known as Zahur Mian) was born in Moradabad, a district in Uttar Pradesh, India. He received a doctorate in Political Science and thereafter pursued a legal career. However, a deep interest in spiritual life steered him towards Sufism (Islamic mysticism). He moved to Ajmer, the city of the renowned Sufi Saint Khwaja Moinuddin Hasan Chishti, where he spent many years in the love and service of his Pir-o-murshid (spiritual guide) Hazrat Nawab Khadim Hasan Shah Sahib, Gudri Shah Baba III. 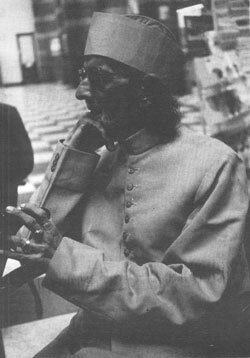 In 1970, upon the demise of his spiritual guide, Dr. Sharib succeeded as the Head of the Gudri Shahi Order of Sufis. Under his inspiring guidance, the Order gained momentum both in the East and the West. Dr. Sharib was fluent in many languages, including some modern European languages. He has to his credit, a large number of publications in Urdu, English, Dutch and Italian. Apart from writing books on mysticism, he has translated classical Persian poetry into other languages. He has also authored several books on rural sociology. "It is enough, if you remember me as one who loved you well, and loved you wisely too, giving you a sense of direction, proportion and perspective, a goal and a definite purpose." His teachings were based on the teachings of Hazrat Khwaja Moinuddin Hasan Chishti, and in 1958 he founded The Society of Mystics, at the behest of his spiritual guide, Hazrat Nawab Gudri Shah Baba, after he was asked by Hazrat Khwaja Moniuddin Hasan Chishti to do so in a dream. Upon becoming the Head of the Gudri Shahi Order, from 1972 onwards, Sharib Gudri Shah Baba IV wrote a series of periodical lectures for almost 25 years which are now compiled and presented in a book Inward Peace. The lectures hold a universal appeal for people belonging to different countries, cultures, religions and age groups and present his teachings in a simple manner. 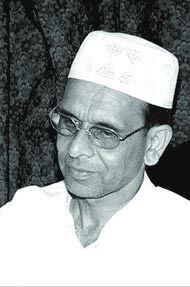 Dr. Sharib passed away into the mercy of the Almighty on April 8, 1996. 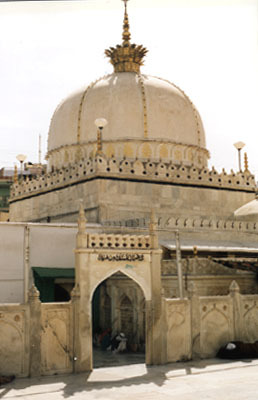 His tomb at the Usmani Chilla at Ajmer, India attracts scores of people throughout the year. His urs (death ceremony) is celebrated according to the lunar calendar on Zeeqad 19 and 20 at his tomb. Upon the demise of Sharib Gudri Shah Baba IV, Hazrat Inam Hasan Gudri Shah Baba V was appointed the Sajjadanashin, or the spiritual successor of the Gudri Shahi Order. He was handed over the Holy relics and the praying carpet of his masters and was asked by Sharib Gudri Shah Baba IV to carry on the noble work of the order with the same integrity, love and devotion that has been exemplary of the Holy Prophet. Since then Hazrat Inam Hasan Gudri Shah has been guiding the order and the mureeds with the same love and concern. Hazrat Inam Hasan Gudri Shah is also the founder of The Sufi Saint School, located at the Chillah Sharief Hill, overlooking the Ana Sagar Lake. The school provides affordable education to the poor and needy children.